Manage your carbon footprint in the climate-conscious building sim, Eco. Strange Loop Games’ environmentally-focused survival simulator Eco is available now in Steam Early Access. After three years of development, today marks the start of Eco’s beta testing phase. 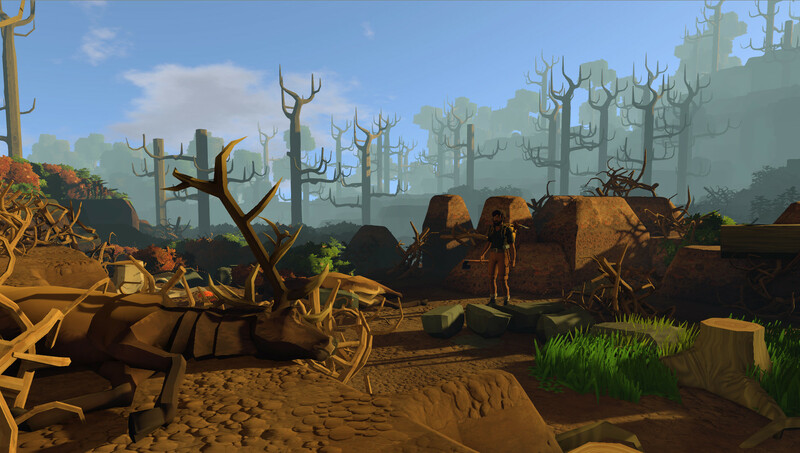 Eco is a global multiplayer survival game where players must collaborate with one another to build a civilization within a shared world of finite resources. You must build towns, harvest crops, trade goods, and create a social infrastructure to support your growing society. As civilization grows, players will have to work harder to keep their carbon footprint in check. The world of Eco features a fully simulated ecosystem where every action you perform can potentially impact the environment, for better or worse. Players must work together to create laws to govern their actions as a society. Striking a balance between societal needs and environmental limitations is crucial for a successful civilization in Eco. Unchecked actions and hasty decisions can lead to pollution or over-consumption of resources, which can result in economic and environmental disasters that affect animal, plants, and humans alike. Eco was successfully funded on Kickstarter back in 2015, earning more than double its campaign goal of $100,000. Fans interested in Eco can join the beta on Steam Early Access for $29.99.